Okay, this is one of the few times you’ll get information from me and a shameless plug for something I’m promoting in the same location, that being the space for this posting. The simplest way to answer the above question is that you write a proposal step by step. It’s like most things, you break it down into steps and before you know it, you’ve got a finished product. This helps to keep up confidence because the steps are the goals and they mark you achievements. Step One: Getting an idea for your book. Step Two: Develop the idea and expanding on it. Step Three: Assessing the market. Who needs this book? What’s the competition for the book? Step Four: Outlining your book. Step Five: Researching your book proposal, and fleshing out your outline. Step Six: Writing the proposal query letter. Step Seven: Sending your query letters to agents and publishers. You send the queries while you’re working on the proposal. This helps you to gauge reaction to your work. Step Eight: Writing the proposal. Step Nine: Writing the sample chapter. See simple right? Well here’s that shameless plug I promised you, I can give you the steps but it’s the visuals that help you understand just what is expected; so I offer a couple of ways to get my “visuals”. The first is that you can attend my class on How to Write a Book in 30 Hours where I go over all 10 steps in depth as well as help you flesh out your book. 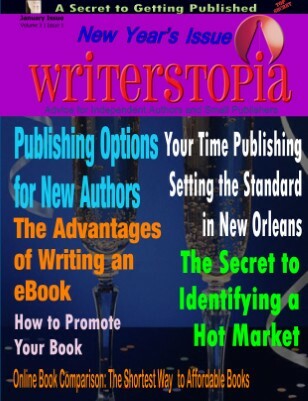 As a bonus I will also tell you the easiest way to write a best-seller and help you create a proposal. This is a webcast so all are welcome. If you cannot join the original webcast session as long as you register you will have access to the full broadcast to download. That’s the end of the shameless plugs for today. Thanks for reading the blog. Good luck with your writing. Thanks for posting a link to my blog at the bottom of your article. I appreciate it very much. No problem, credit where it’s due.